[podcast]http://www.1037thebeat.com/wp-content/uploads/2013/04/kjon-radio-interview.mp3[/podcast]He is not just a great Singer. He is a writer, author, activist and speaker. R&B Singer K’Jon on the eve of his Muskegon appearance talked to us on radio today. 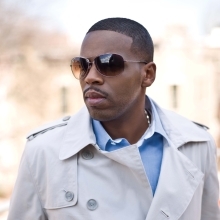 Most people know K’Jon from his #1 R&B single “On the Ocean” which went to the top of the billboard charts. But in this interview K’Jon shows us his intellectual side. Talks Music, Politics and gives honor to KEM, DWELE and other Motown greats.